Quality control is the company soul and foundation, which is deeply imbedded in the mind-set of our managements. 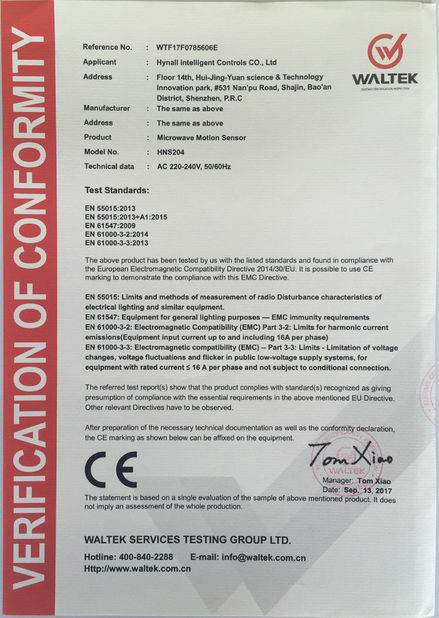 The factory operates in full compliance with International Code of Conduct, labor laws and environmental laws. 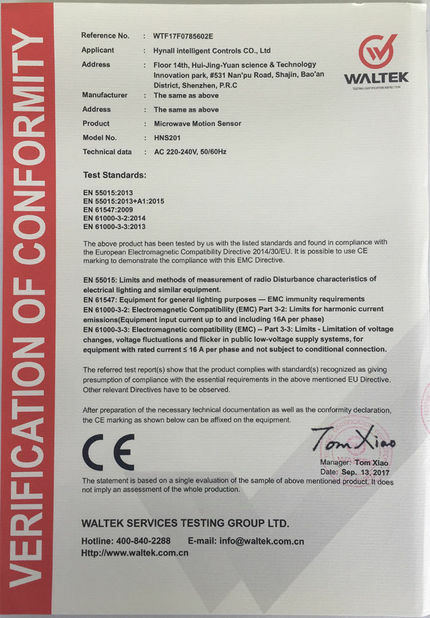 1: Quality control starts at the early stage of new product design process, full consideration and validation is required, for even the circuitry and components selection. 2: Rigid control on the IQC, to make sure all the incoming materials are OK and complied with agreed standards. 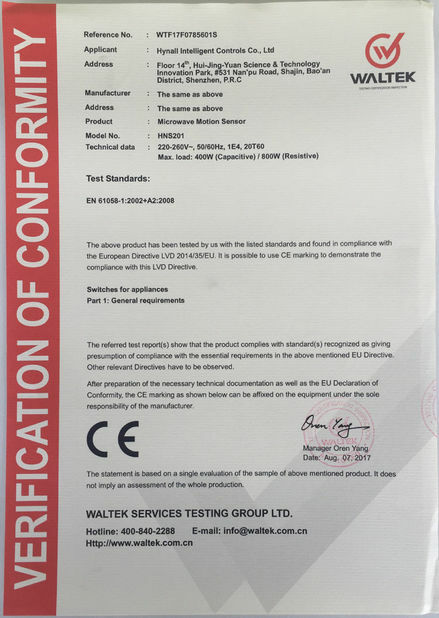 3: Quality control on the whole production process, including AOI after SMT –> IPQC visual inspection after insertion –> IPQC visual inspection after wave soldering –> repairing after wave soldering –> 100% semi-product test(PCBA) –> 100% FCT after assembly –> endurane test –> FQC –> OQC –> QA –> shippiing. 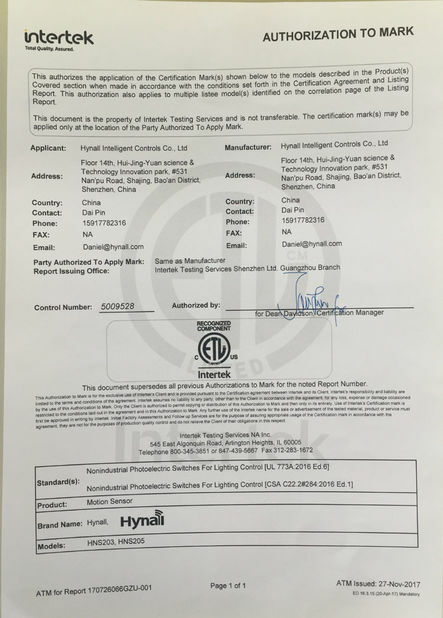 A solid guarantee of 5 years is also given to all products we sell right from the date it's shipped, we take responsibility for every single pcs of product that going out from Hynall! 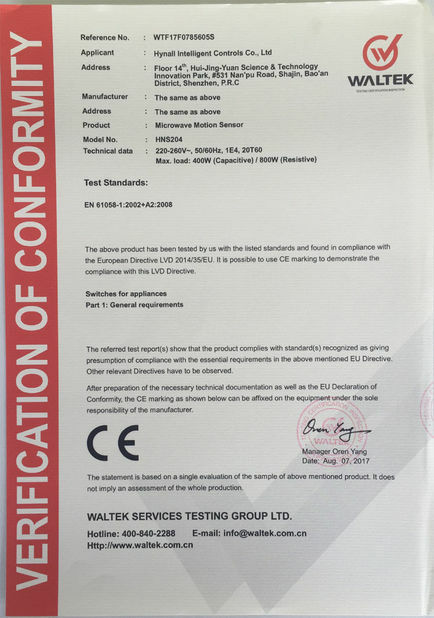 Issued By:WALTEK SERVICES TESTING GROUP LTD. 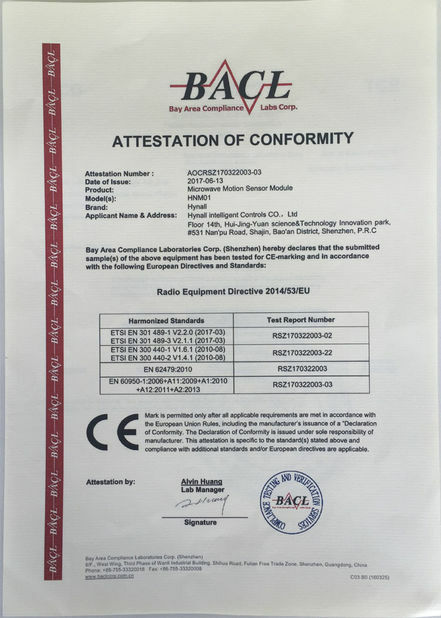 Issued By:BAY AREA COMPLIANCE LABS ORP. Issued By:INTERTEK TESTING SERVICES NA INC.